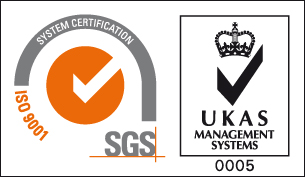 St Clare Engineering is accredited to ISO 9001:2015 which means we comply with the latest requirements for quality management systems, providing products and services that consistently meet customer and regulatory requirements. Many clients, and most large multi-nationals, only purchase from companies with ISO9001 accreditation and we are regularly asked to show our ISO 9001:2015 certificate, to prove we have quality systems in place. We’ve been accredited since 1995 and to the latest standard since May 2018, for which we are assessed annually on all aspects of our quality system and business by the accreditation board. We only use suppliers who also have ISO 9001 accreditation or an equivalent. This ensures the quality of the components we receive from our suppliers is of the highest standard so that we can guarantee our products. Every one of our drum handlers is fully inspected, tested, certified and stamped with a unique serial number before it leaves the factory so we have full traceability for all our products. As well as product quality assurance, IS0 9001 also ensures we maintain accurate records, so that if a customer calls and says they have this ‘drum thingy’ in the factory, if they have the model and serial number we can identify the product, trace exactly when it was manufactured, who purchased it and when, and the service records (if it has any) can also be traced. St Clare Engineering Ltd is a family business, manufacturing a range of specialist, high-quality fork lift truck drum handling attachments under the Grab-O-Matic trade name at our factory in Eastleigh, Hampshire. We supply drum handling equipment to the oil, chemical, logistics and engineering industries, from the Arctic Circle to the Arabian Gulf. For more information about our products and servicing, call us on 02380 643402 or email us directly at sales@stclare-engineering.co.uk to discuss a specific requirement.